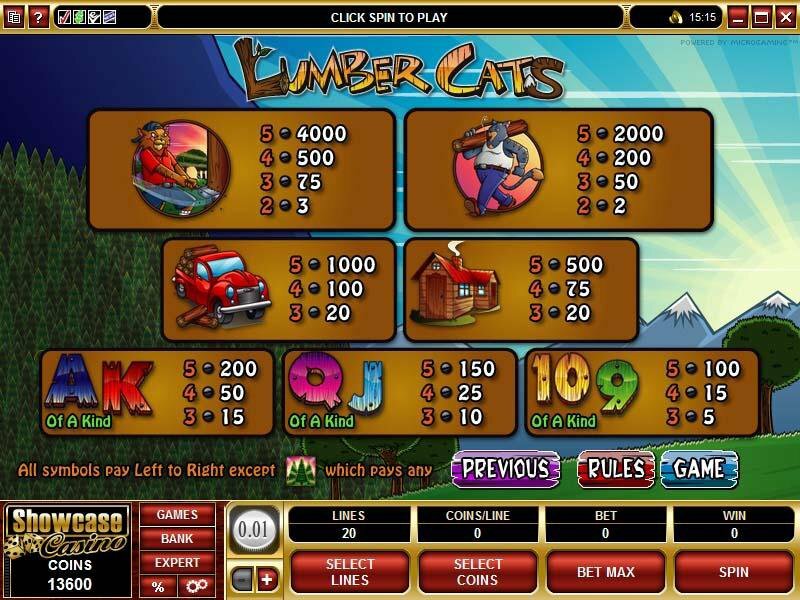 Overview: If you go down to the woods today you're sure of a big surprise - some burly, tree-felling felines hard at work in our new treble featured, 5 reel twenty payline video slot LUMBER CATS. These tough tabbies are intent on creating player opportunities through a combination of traditional slot action boosted by three winning features that offer prizes and free re-spins galore. The theme is a pine plantation ready for harvesting, with the vibrant graphics in the game setting the scene through our trio of axe-toting lumber cats, tree tractors and logs. The coolest cat in the chequered shirt is the Wildcat here; helping the player to build winning combinations, but the trees themselves are the Scatter, and 3 or more across the reels trigger the main feature in the game - the highly competitive Tree Climb. 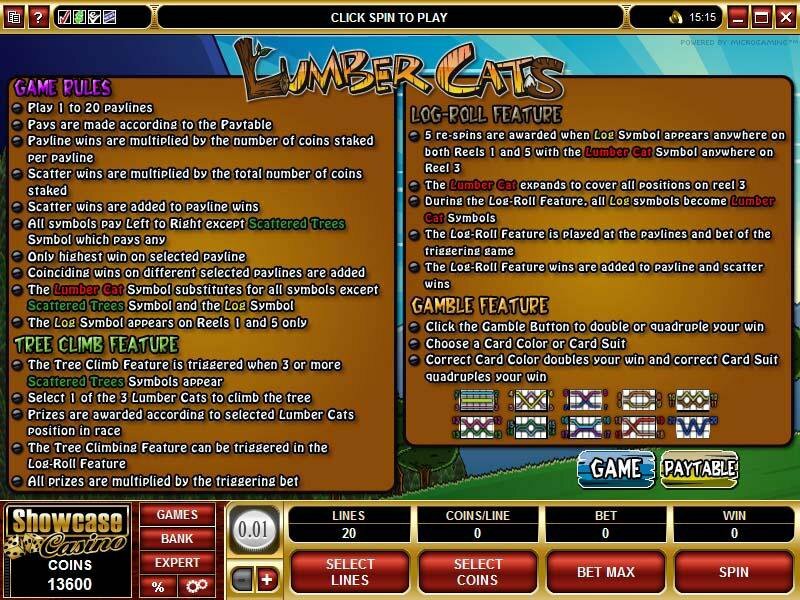 Here the player is presented with a choice of three lumber cats to take part in the Tree Climb; pick the winning cat and additional prizes are awarded. 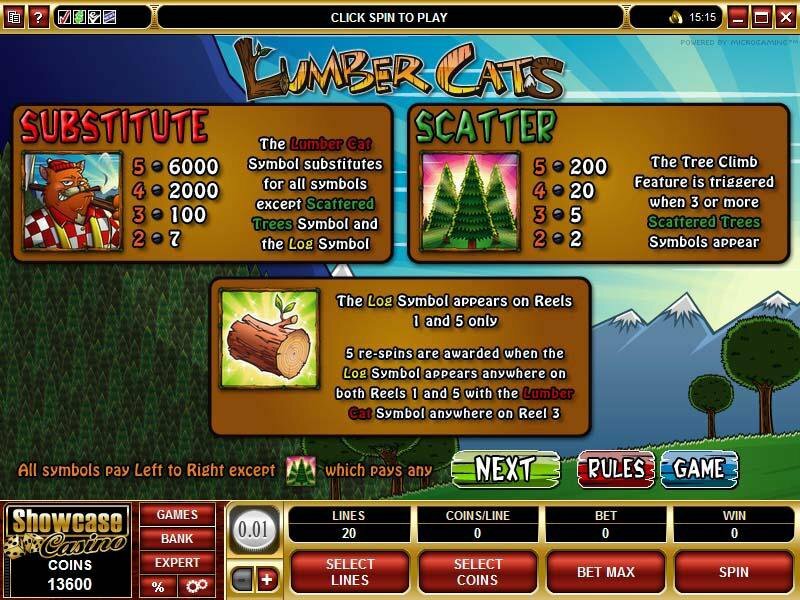 The log symbol also has significance when it appears on reels 1 and 5 in partnership with the Wild Lumber Cat symbol on reel three, creating the Log-Roll feature where 5 free re-spins are awarded and the Lumber Cats expand to cover the reel, creating more chances to score big-time in the game. 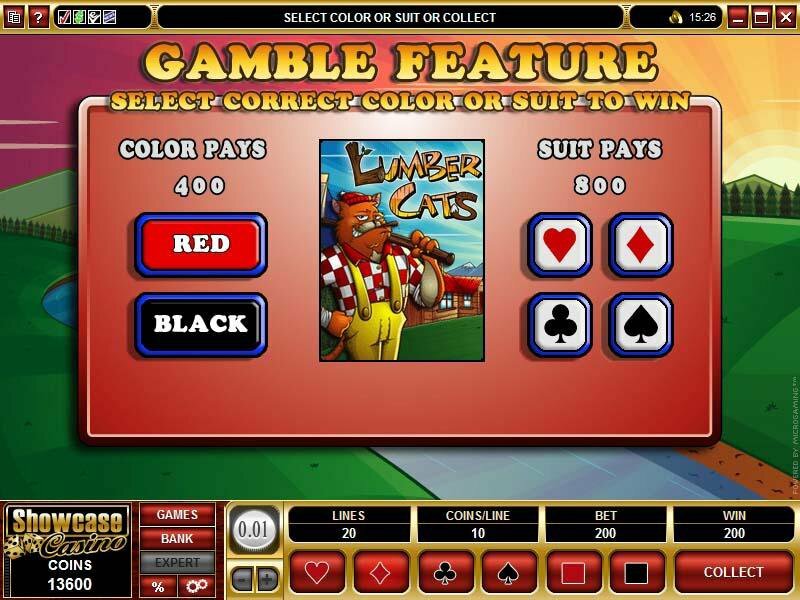 Finally, there's the Gamble feature, where by predicting the right color and suit, the player can double or quadruple winnings. 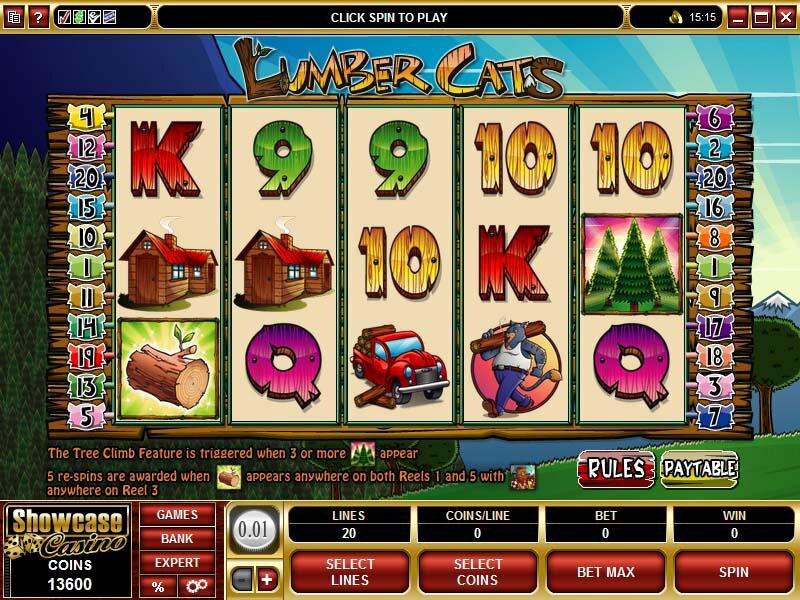 Similar Slots: If you like Lumber Cats, you might like these other 5-reel slot machines: Big Break, Good to Go, Halloweenies, Kings of Cash, Pedal Power, Starscape.